You know that termites are a big problem when you own a home or business, but do you know how much damage these tiny pests can really do? Dealing with a termite infestation as soon as you realize that you have one is a must to reduce the scope of damage. A-Academy provides professional extermination services from experienced technicians, helping you eliminate termites from your Hazlet home or business. You may be surprised to learn that termites cause approximately $5 billion in damage to buildings across the United States every year. Termite infestations burrow through wooden structures and cause weaknesses in beams, boards and anything else that may be made of wood in a home. The small size of these pests coupled with their ability to nest deep within the wood of a home means that homeowners are often unaware of an infestation until it becomes severe. Homeowners are often tempted to try eliminating a termite problem on their own to save money. Detecting termites and finding where they are nesting is difficult for people who are not experienced and skilled in pest control. Trying to take care of the problem yourself is a waste of your time and energy. Any costs that you incur when trying to figure out how to eliminate termites by yourself is better spent on professional pest control services. Call A-Academy For a Free Quote! 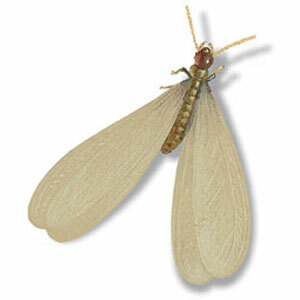 We employ a team of experienced professionals who are ready to help you take care of your termite problem. Contact us to discover more about the services that we provide to residents in Hazlet and many surrounding New Jersey towns. Our free quotes let you learn more about the costs of pest control before you commit to hiring us for your pest control needs.